More than a decade of research on Slavic case semantics has come together in a valuable new pedagogical tool through the work of Laura Janda and Steven Clancy. 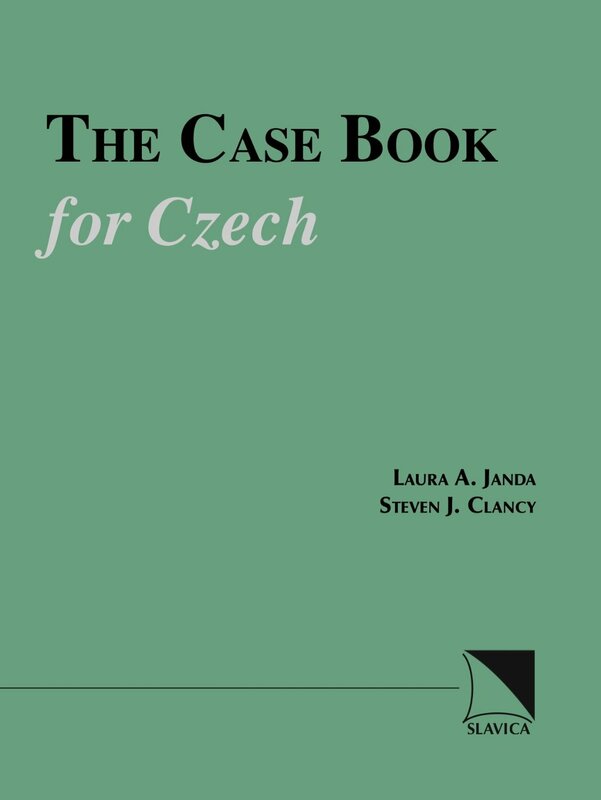 The Case Book for Czech presents the Czech case system in terms of structured semantic wholes. This method of explanation is easily accessible to students and provides a coherent conceptual framework that accounts for the rich and often confusing details of Czech case usage. Throughout the text, the basic meanings of the cases are illustrated with examples from a variety of contemporary sources, representative of multiple genres and fields (fiction, current events, contemporary history, politics, law, economics, science and medicine, etc.). The aim of the text is to familiarize students with the variety of case usage by using real Czech sentences as opposed to the controlled language of traditional textbook examples. By confronting real case samples in an unadulterated form, students can learn to make sense of the systematic meanings of case in a fashion that will approach the understanding of a native speaker. The accompanying exercises continue the presentation of the text and challenge students to implement the concepts they have learned. The CD-ROM contains recordings of all examples by both male and female native speakers and fully integrated exercises. As students work through the exercises, they receive useful feedback and can easily consult the electronic version of the text for quick reference can easily consult the electronic version of the text for quick reference.